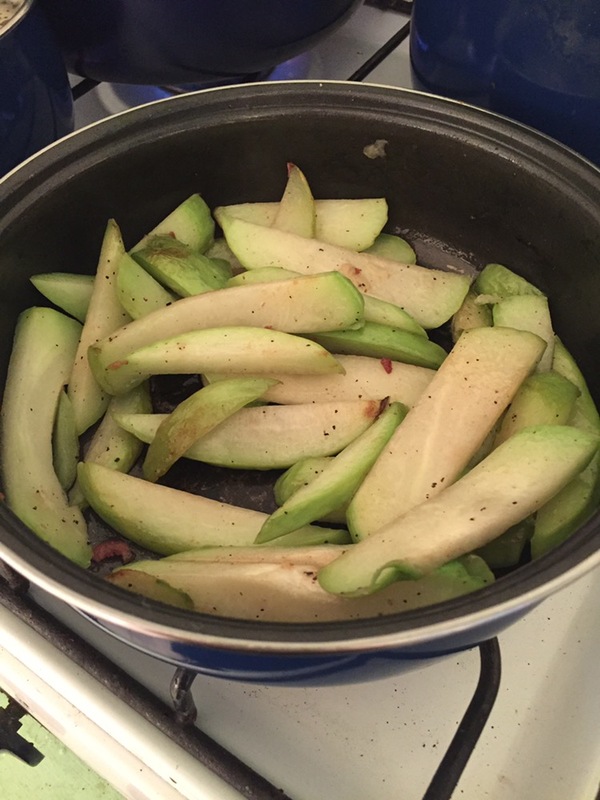 I’ve lived in the US so long that I’d completely forgotten about this wonderful green piece of heaven, the chayote. We found it at a local market in San Jose, Costa Rica, and my brain instantly recalled delicious soups and stews. When sliced it looks a little like an apple and the kids looked a bit askance but they (mostly) liked it. 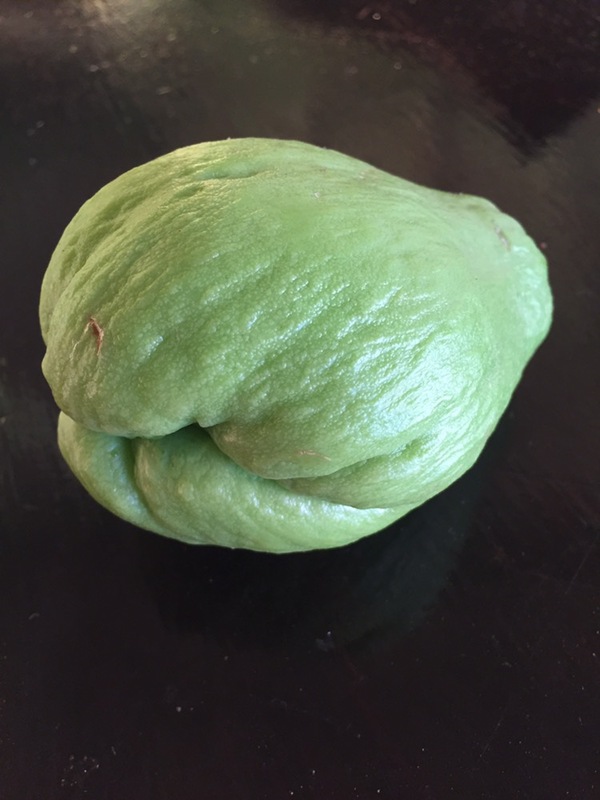 You can’t find chayote in NM? It’s a staple in my house. I think you can, but it’s $$ I will henceforth try harder.